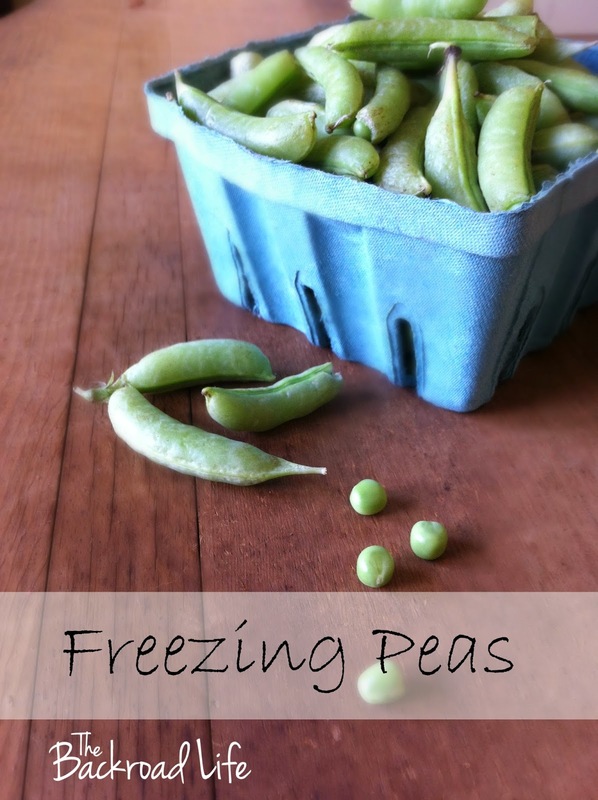 If you enjoy peas fresh from the garden, you'll want to put some away in your freezer to enjoy this winter! 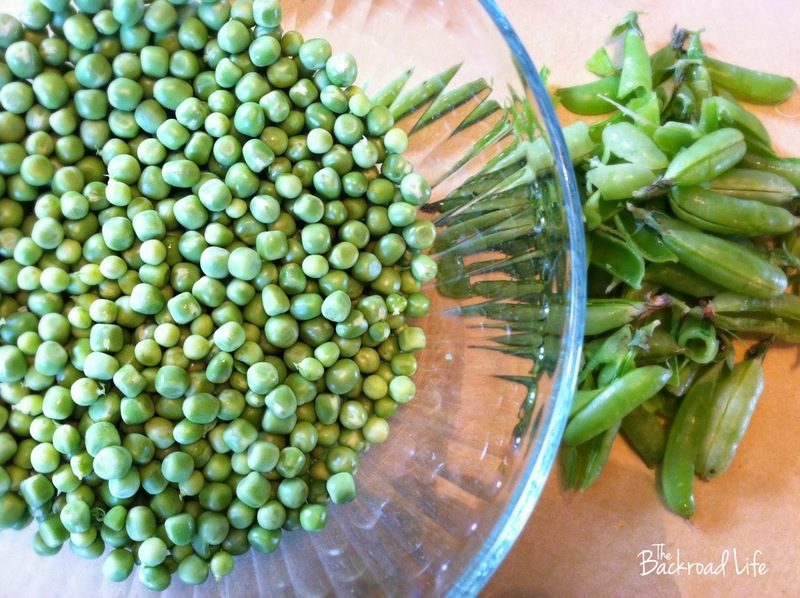 Freezing peas is an easy way to preserve them fresh from your garden or the farmers market. The frozen peas are nearly as good as right out of the garden. 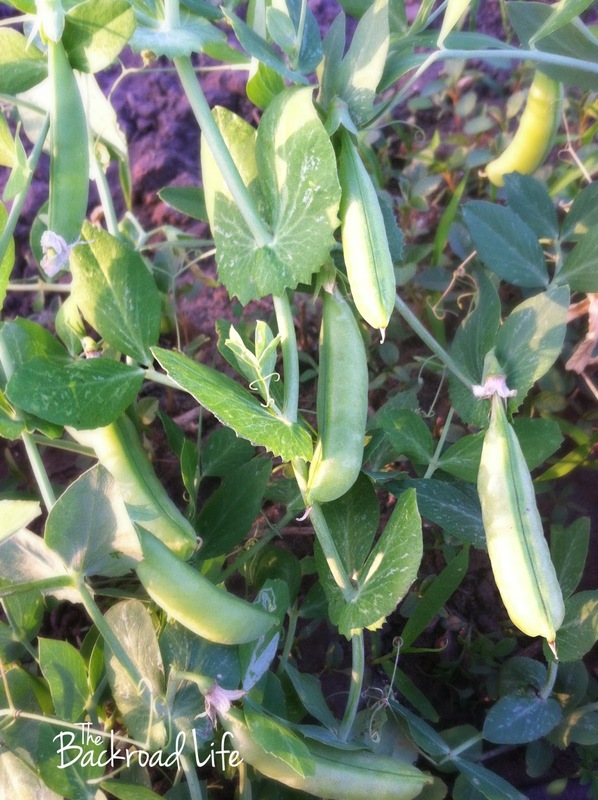 If you don't have peas growing in a garden, now is the time to get them at your local farmers market. 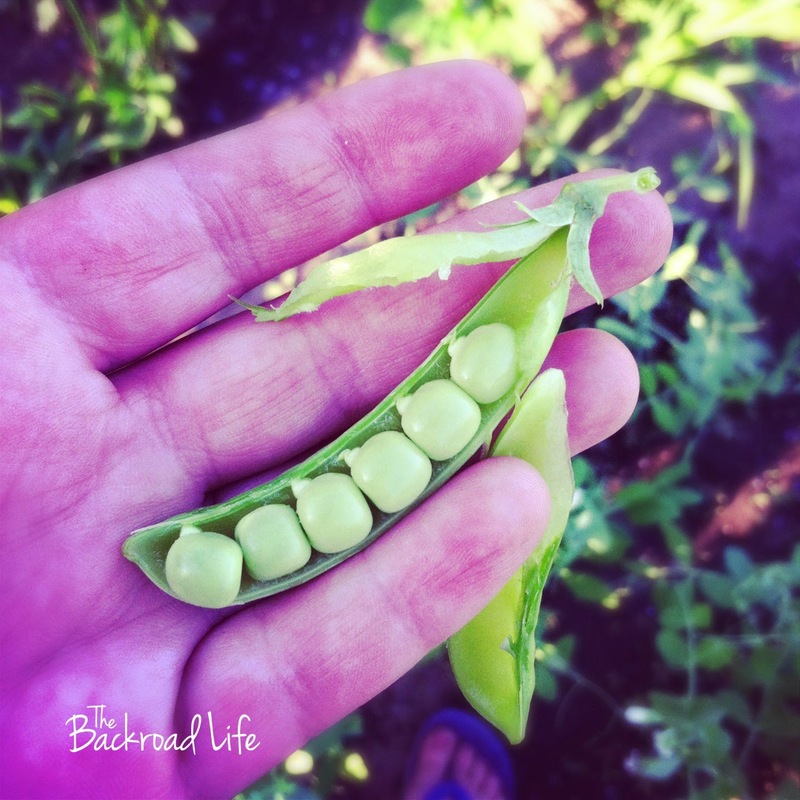 It's a nice treat to walk through the garden and grab some peas to shell and have for a snack. But when you have a lot come on at once and can't eat all that are ready at one time, its nice to put them in the freezer to enjoy later. 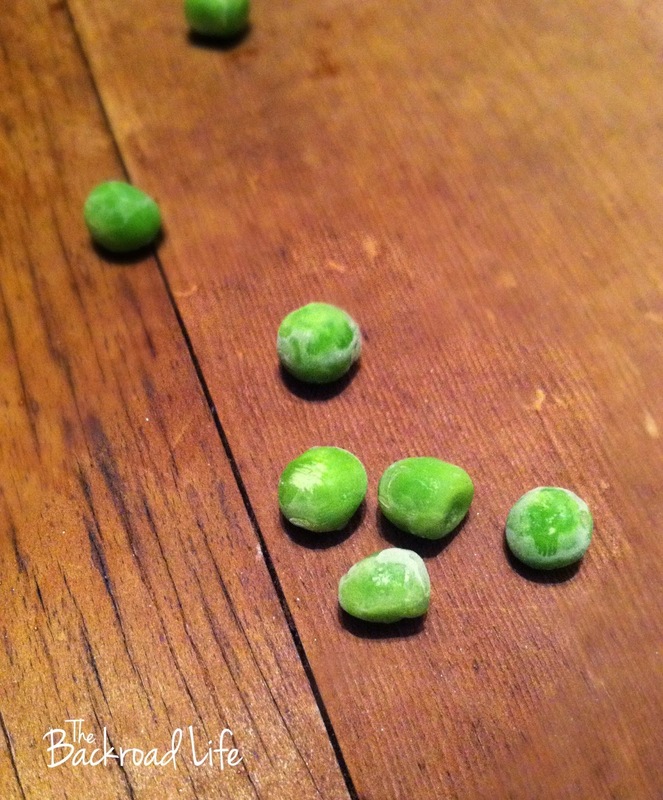 The most tedious part is shelling all the peas. I shelled some outside while the kids were playing. I shelled some while dinner was cooking. I shelled some after bedtime. You get the idea. 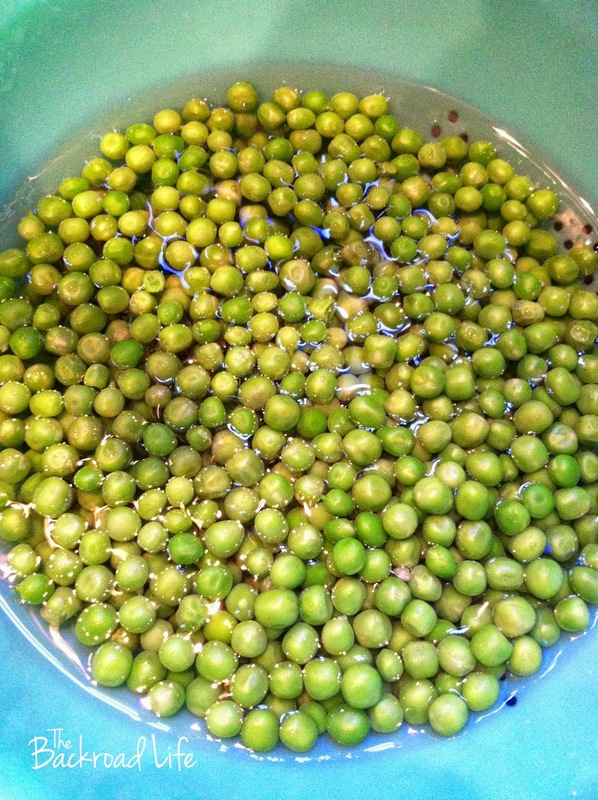 After the peas are shelled, wash them in a colander. They are then ready to blanch. To blanch: Just simply bring a large pot of water to a rolling boil. Pour the peas in and let them sit for 4 minutes. 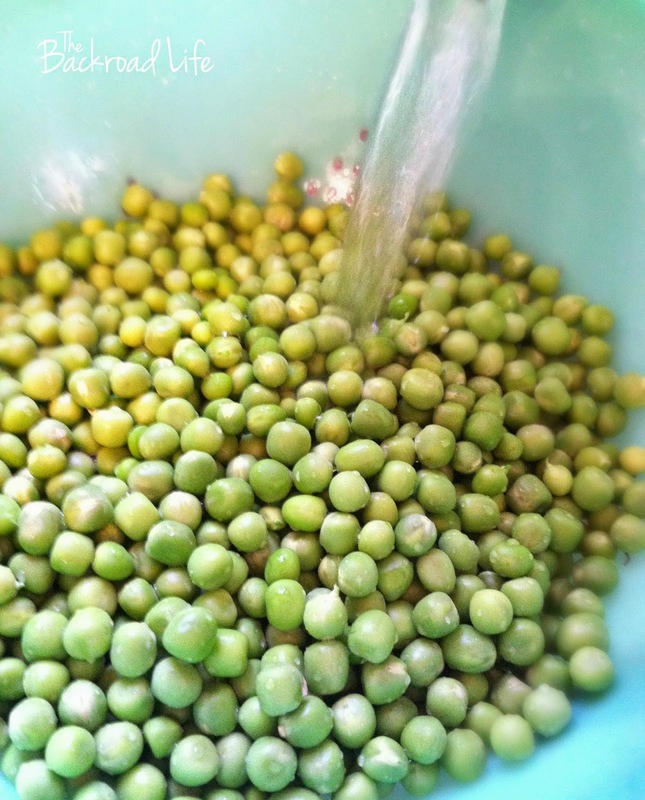 This process of blanching then makes peas ready to freeze. 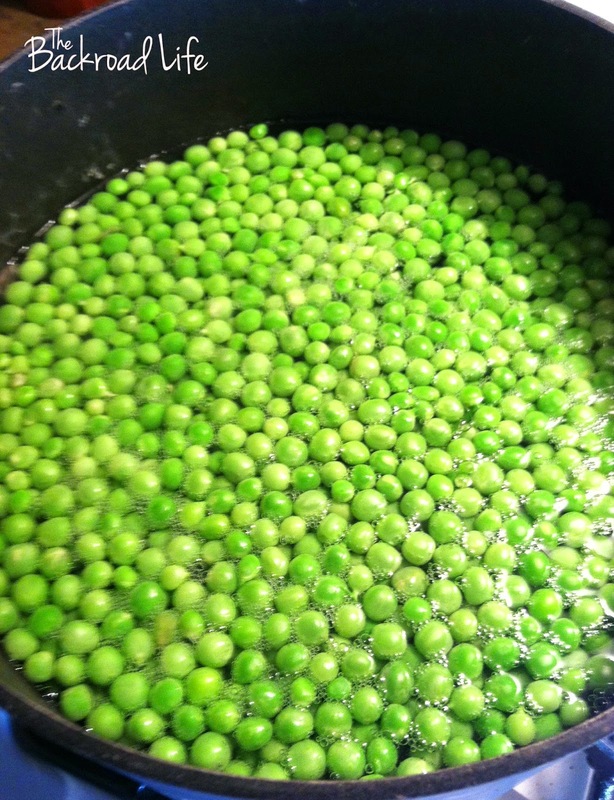 After the 4 minutes, immediately pour the peas into a colander and run under cold water. I put the plug in my sink also and let the colander of peas sit in the cold water too to help cool the peas off. This process is done to stop the cooking process that was started with boiling them. You can see the color change to a bright green now. 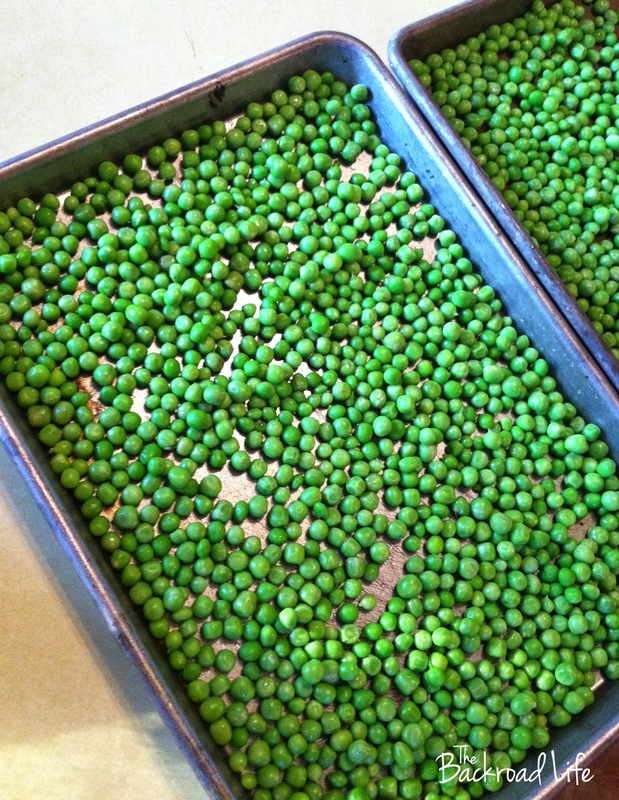 Once the peas are cooled, spread them out on baking sheets and put them in the freezer. This is flash freezing. After a few hours they are frozen and are ready to bag. Bring the baking sheets out of the freezer. I just use a spatula and bag up the desired amount and place in each bag. I like to do 2 cups per bag. 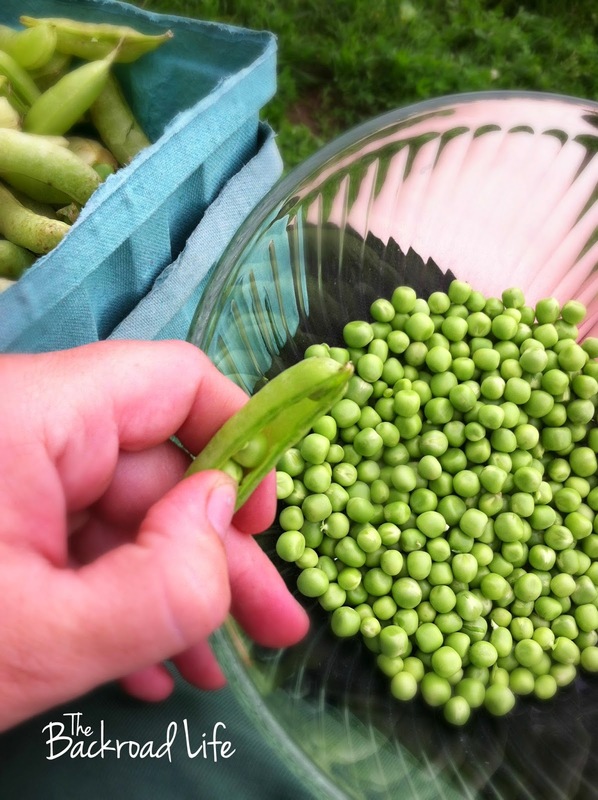 I like to freeze them this way because each pea is frozen individually making it easier when ready to use. When you're ready to eat, simply pour out the desired amount and bring to a boil and add to your meals or dinner plates. 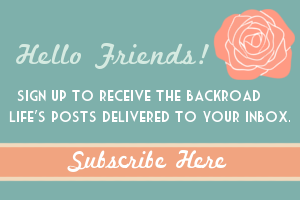 It's as simple as that! I do this a few times during pea season. 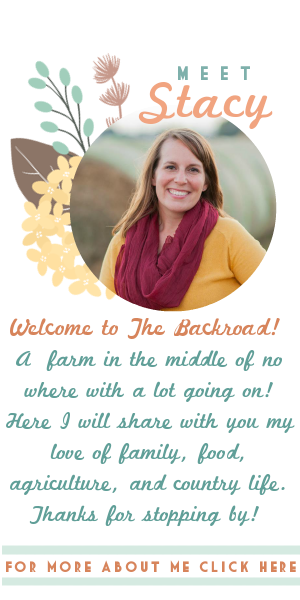 This puts enough in our freezer to eat during the winter months. We eat some fresh and I put some in the freezer. 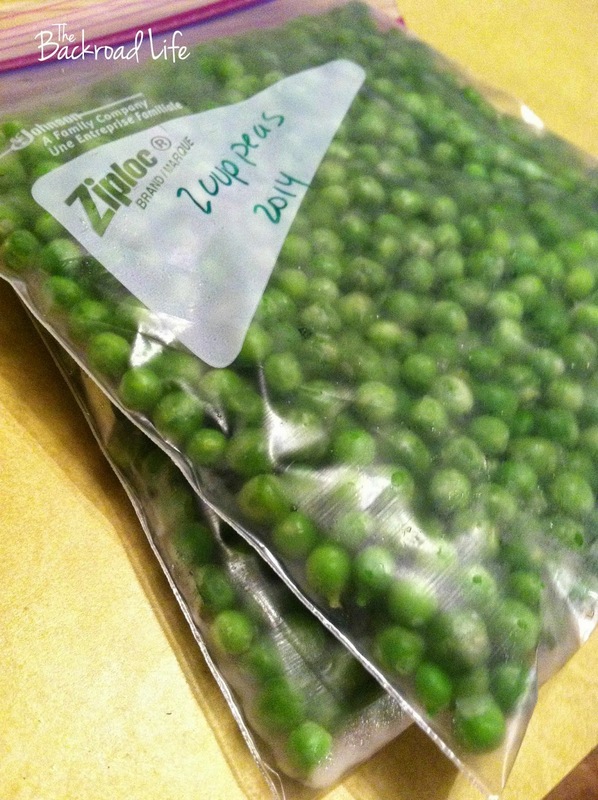 The blanching process works for most garden vegetables for freezing. Simply pour your vegetables into a pot of boil water for 4 minutes. Immediately drain and cool them off with cold water. Then place them in the freezer. 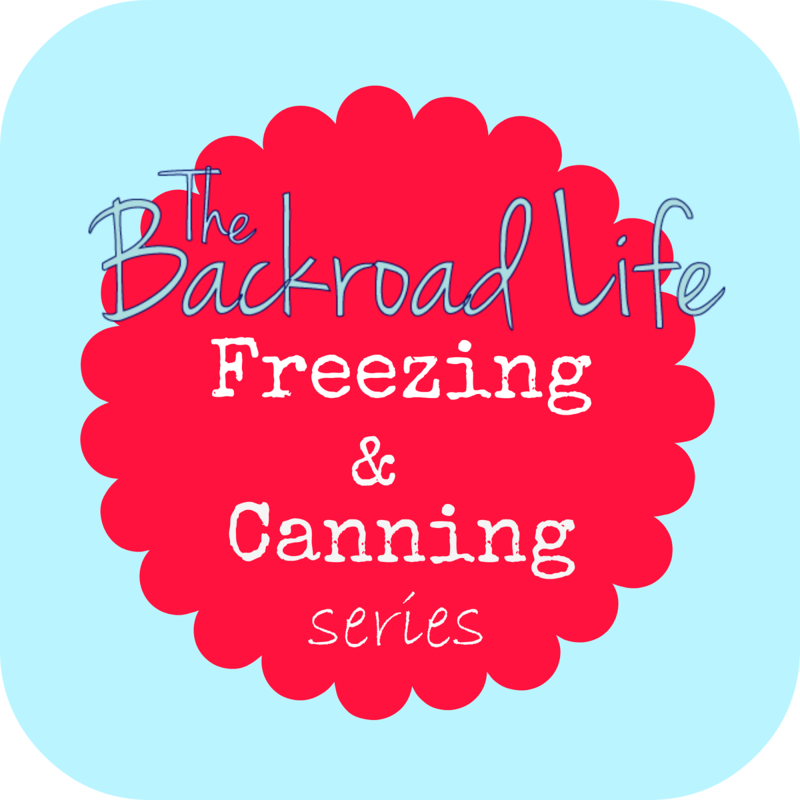 This post is part of The Backroad Life freezing & canning series I am doing.